A major clinical focus of current international interest lies in the development of robust methodology to assess therapy response in AML, the most dangerous subtype of leukemia in children. FCM could be the most widely available and most broadly applicable methodology for this aim, but there exists no ready-to-use standard practice. Our consortium has developed pertinent laboratory experience, but before this can be rolled out to daily in-house practice as well as to a growing community of users world-wide, technical standardization at the level of operator-independent usage is necessary. 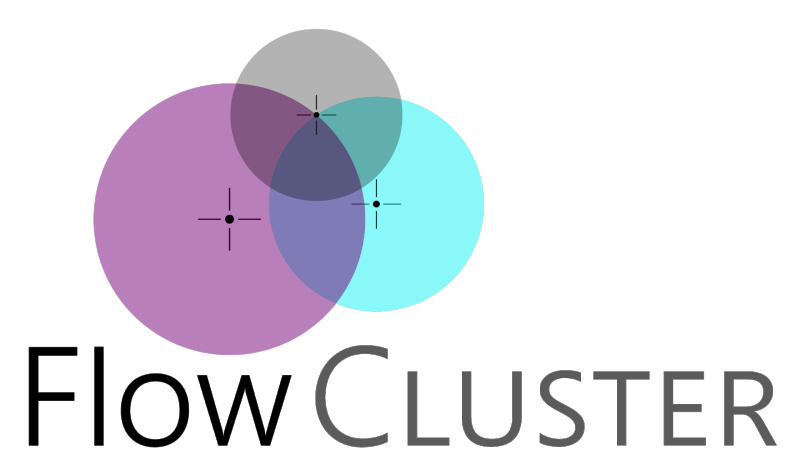 Hence, the primary aim of FlowCLUSTER is to build a training and validation data set of response readings from patients with AML based on high-end multi-color FCM, and to use this for the development of a prototype-software-tool for future fully automated, quality-assured treatment response assessment. This could not only be used as valid in-house test at Labdia, but could be published via partners from the industry to benefit patients world-wide. Develop and validate a pipeline-software package as a ready-to-use FCM-based MRD-assessment tool for the daily clinical practice in patients with AML: FCM-MRD assessment is a cornerstone in risk stratification and treatment selection in several current pediatric AML therapy regimens. Augment correct assessment of FCM-MRD in samples which are difficult to analyze by conventional operator-based gating (e.g. ≥8-color applications); computer-aided analysis potentially has a superior resolution due to utilization of the whole multi-parametric FCM-data space at once instead of step-wise, two-dimensional plot-based visualization. Reduce subjectivity caused by manual operator gating; increase result comparability and reproducibility through automation and standardization. Improve and standardize quality-assured MRD-assessment (necessary for proper treatment selection upon assessment of leukemic response parameters) throughout the international-BFM FCM-network for the benefit of children with AML in many countries. Reduce work-load and lab-costs (staff-time needed for training, continuous quality control, operator-based data interpretation). Allow dissemination of (automated) FCM-MRD analysis to medical centers which have no established expertise – for the benefit of an even larger community of diseased children worldwide.